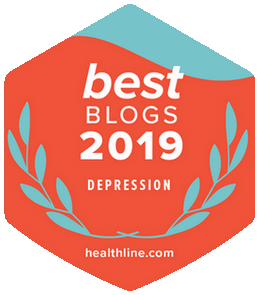 …children and adults with tic disorders are more inclined to be enduring depression, assorted mood disorders, anxiety disorders, and other emotional/mental issues. Why is that? I’m thinking it’s because trying to manage an ongoing, disruptive, and stigmatizing disorder gets very old, very fast. I remember it well. It was a long weekend with family at a northern Michigan condo. A family member invited a friend who brought along her daughter. The little girl had to be right at eight-years-old. And she sniffed – a lot. Yeah, it was pretty constant and often pronounced. And her mother reprimanded her upon each episode. My heart went out to the little girl, who I believe was dealing with a tic disorder. 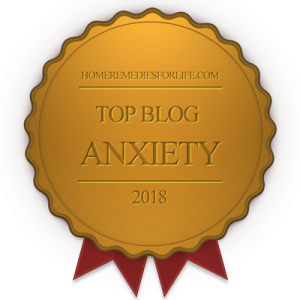 Now, for reasons other than challenging stigma targeting any emotional/mental health situation, why would I present a piece on tic disorders on a mood and anxiety disorder blog? Well, kids and adults enduring a tic disorder are at way increased risk for depression, assorted mood disorders, anxiety disorders, and other emotional/mental issues. Because of the complexity of the world of tics, and just tons of available information, we’re going to take care of biz in two posts. Here, we’re going to get into the “what’s” of it all. And you’ll want to be sure to check-back in a week’s time for a discussion of cause and treatment. What’s a Tic (and the disorder)? A tic is a sudden, painless, and nonrhythmic motor or vocal behavior that presents out of situational context. Tics are not at all unusual in children, and they most often self-resolve. However, in some cases, tics can become more complex and severe over time – even lasting through adulthood. A tic can be “simple,” involving a few muscles or sounds. And it can be “complex,” using multiple muscle groups or full words or sentences. To further categorize, simple motor tics are brief and meaningless movements such as eye-blinking, facial grimacing, shoulder shrugs, and head jerks. Complex motor tics involve slower, longer, and more purposeful movements like sustained looks, facial gestures, whirling and twisting around, biting, or copropraxia (obscene or inappropriate gestures or touching). In children, speech may be abnormal with unusual rhythms, tones, accents, or intensities. Included can be an echo phenomenon, characterized by an immediate repetition of one’s own, or another’s, words. And then there’s coprolalia (obscene, inappropriate, or aggressive words and statements, which present in less than 10% of tic disorder cases). The echo phenomenon and coprolalia are considered tics. A tic disorder? Well, avoiding complicated diagnostic criteria, let’s just say if the presence of tics are causing any degree of life disruption, a disorder is likely alive and well. For the record, tic disorders are listed as Tourette Syndrome (Disorder), Persistent Motor or Vocal Tic Disorder, and Provisional Tic Disorder. Here are details. We hit on it earlier, children and adults with tic disorders are more inclined to be enduring depression, assorted mood disorders, anxiety disorders, and other emotional/mental issues. Is it any wonder that a tic disorder can generate terribly low self-esteem, as well as feelings of hopelessness and suicidal thoughts? Obsessive-compulsive disorder (OCD) behaviors have been noted in as many as 80% of those with tic disorders. 30% of those enduring a tic disorder meet full diagnostic criteria for OCD. As many as 50-80% of children with Tourette syndrome have some symptoms of attention deficit hyperactivity disorder (ADHD). Children with tic disorders are five times more likely to require special education programming because of learning issues and behavior challenges. Children and adolescents with Tourette syndrome frequently experience challenges such as aggressiveness, self-harming behaviors, emotional immaturity, social withdrawal, conduct disorders, physical complaints, mood and anxiety disorders, stuttering, sleep disorders, migraine headaches, and inappropriate sexual behaviors. Learn about a fascinating OCD/tic disorder generating phenomenon known as Pediatric Autoimmune Neuropsychiatric Disorders Associated with Streptococcal Infections (PANDAS). 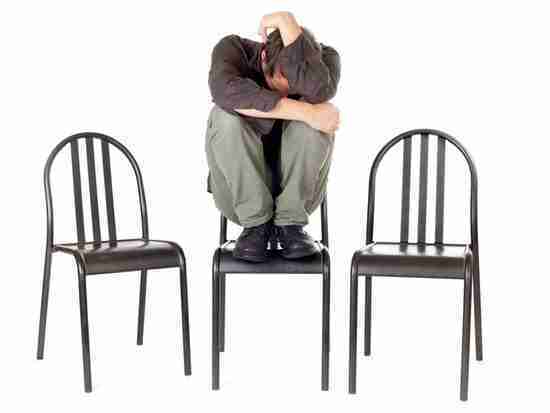 Never, ever, ever forget – tics are always exacerbated by stress, anxiety, fatigue, boredom, and excitement. So there’s a thumbnail on tics and tic disorders. And I’ll tell you, I use the word “thumbnail” because there’s just so much to learn. Actually, the quantity of information available is mind-boggling. And, of course, if you, or someone in your life, are enduring tics, you’ll want to do your due diligence. Learning the truth about tic disorders really is about challenging stigma and restoring lives. It isn’t hard to figure-out why, huh. Remember, this is a two-post series, and Part 2 is waiting for you: The Truth About Tic Disorders | The Chummy and Tricky Coexistence of OCD and Tics/Tourette Syndrome. Many thanks to the Encyclopedia of Mental Disorders for some wonderful info. 682 Chipur articles are ready for your review. Hit those titles.